Michael Bay’s 1998 opus “Armageddon,” about a team of drillers who fly to an asteroid to destroy it before it crashes into Earth, is a bad movie. It is so bad that Michael Bay apologised for it (before apologizing for apologizing). 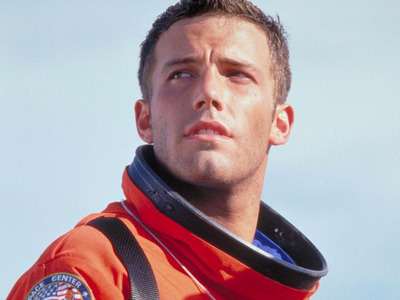 It is so bad that Ben Affleck, who stars in the movie, told Bay that the movie made no sense while they were filming the movie. Bay did not care. …Bruce is gonna tell the guys that they did a bad job at building the drill tank, because he’s a salt-of-the-earth guy and the NASA ‘nerdanauts’ don’t understand his salt-of-the-earth ways, his rough-and-tumble ways. Like somehow they can build rocket ships but they don’t understand what makes a good [transmission]. Eight whole months? As if that’s not enough time to learn how to drill a hole. But in one week we’re gonna learn how to be astronauts. …’They don’t know jack about drilling’? How hard can it be? Aim the drill at the ground and turn it on!